Collaborations and other works on paper by Geraldine Berkemeier and Gary Shinfield. Sept – Oct 2011, Red Gallery, North Fitzroy VIC. Shifting Ground, an exhibition by Geraldine Berkemeier and Gary Shinfield, consists of four large-scale collaborative works made by the artists, as well as individual works. These works employ various printmaking media – waterless lithography by Geraldine and woodcuts by Gary – and are printed on various handmade Chinese papers. The collaborative works are site specific. These works were made after several journeys along the extent of the Hunter River in NSW. They explore in particular a search for the source of the river – be it in a National Park, on farm properties and unknown territory. The images made are an eclectic, visual statement of memories experienced along the way. They refer to, the natural beauty of this particular area of NSW, as well as environmental pressures currently brought on by land and water use. Geraldine’s abstract prints use colour and graphic structure as metaphor for altered and natural states. They reference our complex relationships and perceptions of the landscape. It is often difficult to bridge the gap between natural and human intervention. Hunter 3, mixed media print on two sheets of Chinese paper, 284 x 70 cm, unique state print, 2010, Geraldine Berkemeier and Gary Shinfield. Hunter 1, mixed media print on 2 sheets of Chinese paper, 284 x 70 cm, unique state print, 2010, Geraldine Berkemeier and Gary Shinfield. 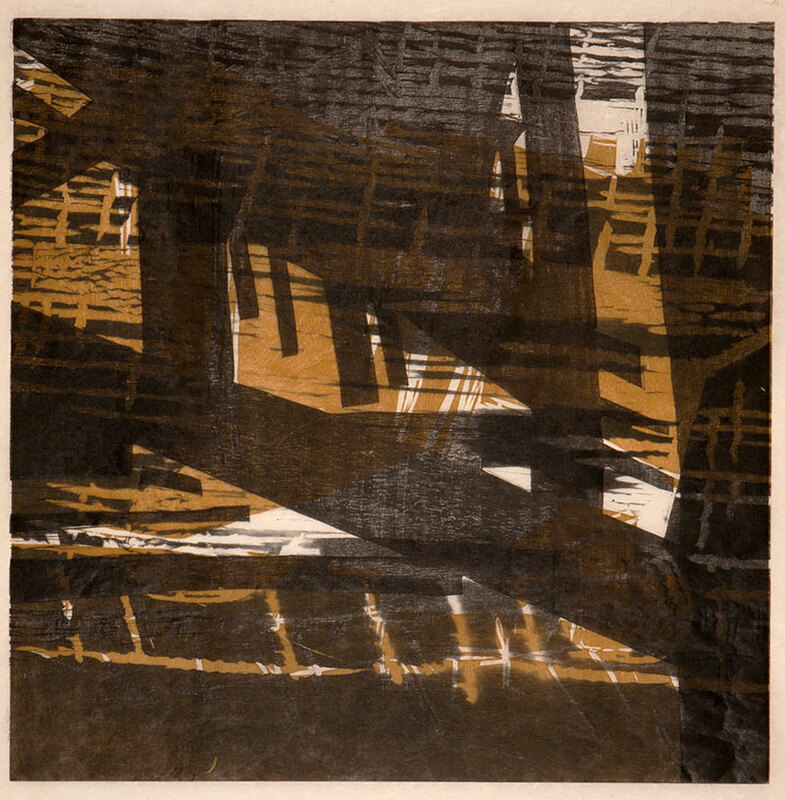 Coal train and bridge 1, woodcut print on Chinese paper, 60 x 60 cm, artist proof, 2011. 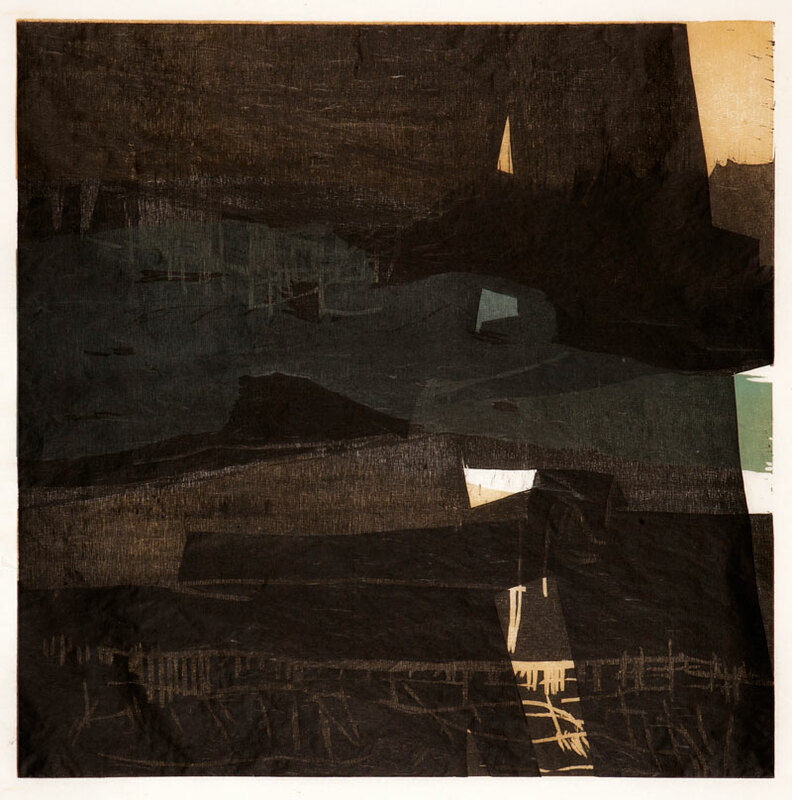 Coal train and bridge 2, woodcut print on Chinese paper, 60 x 60 cm, artist proof, 2011. 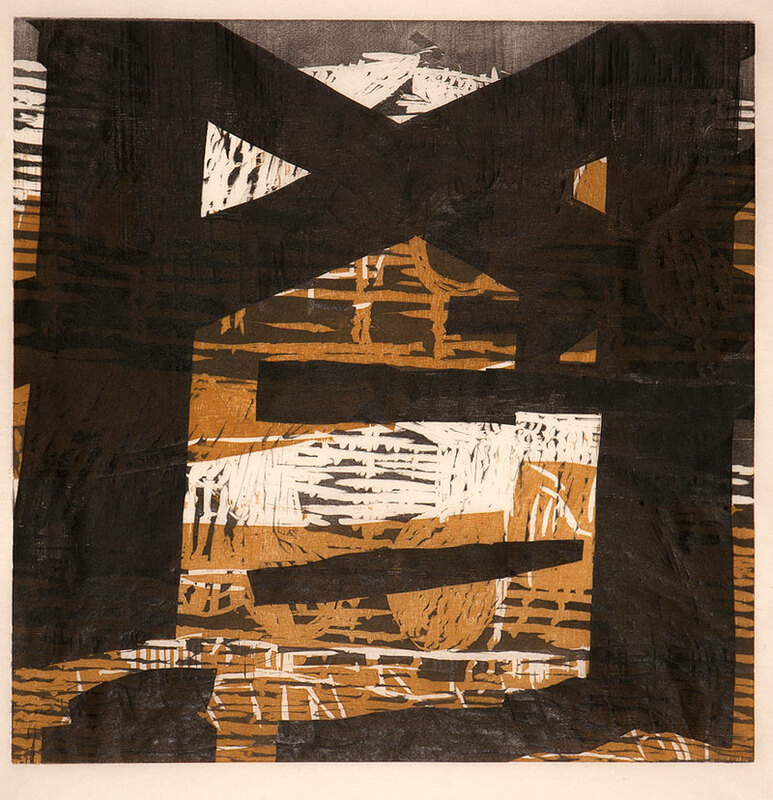 Coal train and bridge 3, woodcut print on Chinese paper, 60 x 60 cm, artist proof, 2011.